This is a sponsored post written by me on behalf of Marzetti® Brand for IZEA. All opinions are 100% mine. My husband and I love fresh veggies with our meals. I buy so many fresh fruits and veggies every week, I almost always get asked by the cashier if we juice or something. I always reply with no, we just love to eat fresh fruits and vegetables! When it comes to fruits, my kids are great about eating them. I think my son could even eat his own weight in apples. Unfortunately they don’t share the same enthusiasm for green veggies on their plates. Often times those fresh veggies just get pushed around and half-eaten. That’s why I was so ecstatic when we got to try Marzetti® Veggie Drizzle™ Finishing Sauces. They are specifically made to make cooked vegetables irresistible. You can add these sauces to vegetables that are steamed, grilled, roasted, or boiled. 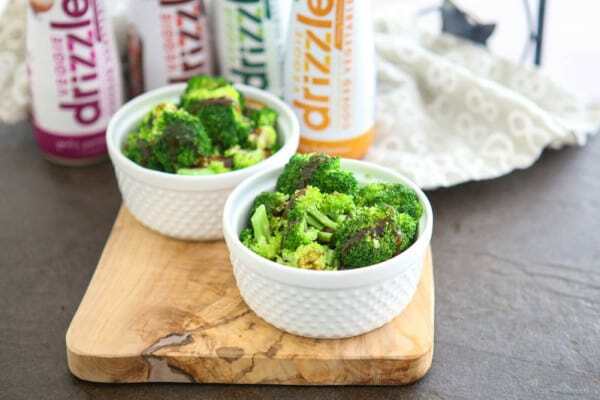 Marzetti® Veggie Drizzle™ Finishing Sauces add a wonderful flavor no kid, or adult, can resist. 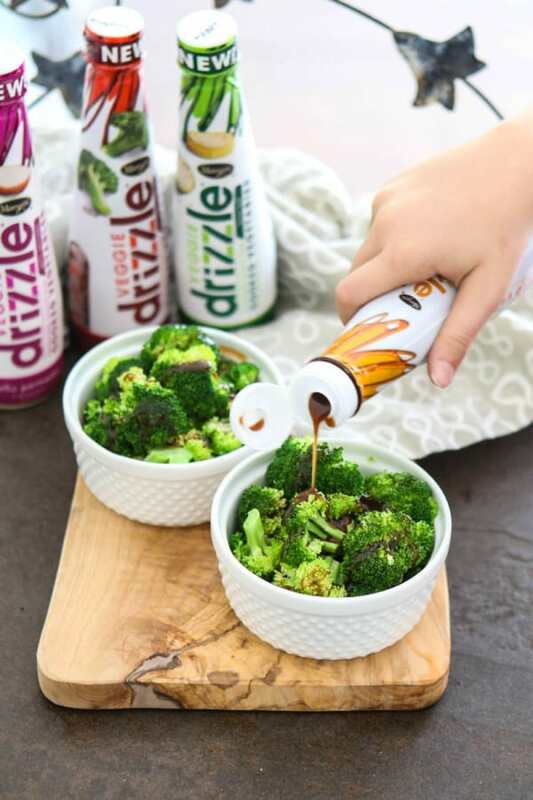 Last night we tried Marzetti® Veggie Drizzle™ Finishing Sauce in Honey Balsamic on fresh steamed broccoli. It was so delicious! You simply cook your vegetables however you like and them add Marzetti® Veggie Drizzle™ Finishing Sauce at the very end. Personally I like to leave the bottle of Marzetti® Veggie Drizzle™ Finishing Sauce on the table. That way everyone can dollop or zig-zag exactly how much flavor they like! 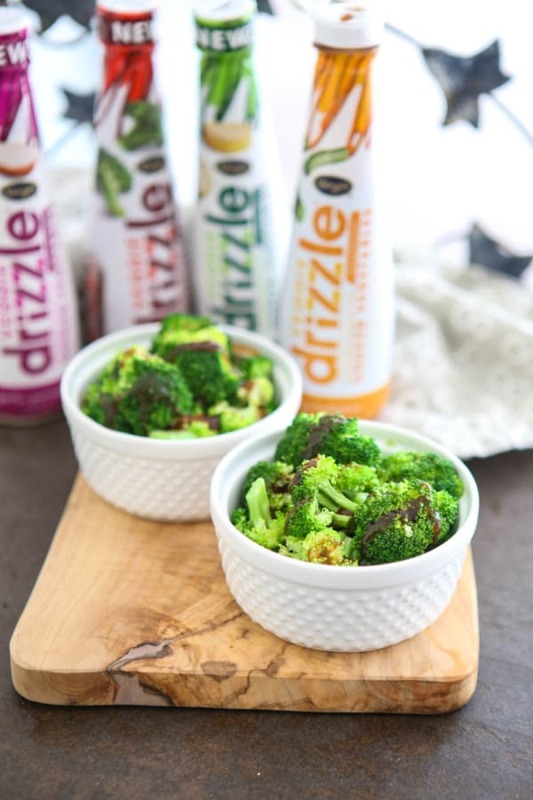 Marzetti® Veggie Drizzle™ Finishing Sauce makes it so easy to make delicious veggie sides. For this broccoli, I simply steamed it in my microwave and then served it. It was so quick and easy and made the perfect side to a busy (and late) weeknight dinner after soccer practice. 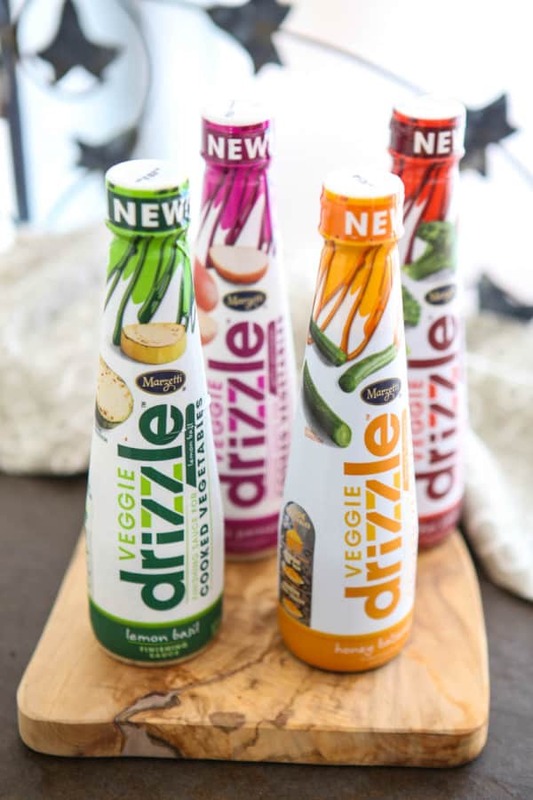 Marzetti® Veggie Drizzle™ Finishing Sauce are available in four fantastic flavors: Garlic Parmesan, Lemon Basil, Thai Chili, and Honey Balsamic. And with only 20-45 calories per serving, you can serve it to your family without guilt. Garlic Parmesan is perfect for those who want rich and savory flavor. For those who like a splash of sweet and spicy, try Thai Chili. Lemon Basil is perfect for those who want a refreshing citrusy flavor. And if you prefer a splash of sweet and savory, try the Honey Balsamic. You can find them in the refrigerated product aisle of your local grocery store right next to all the pre-cut veggies. Find out more about Marzetti® Veggie Drizzle™ Finishing Sauce. 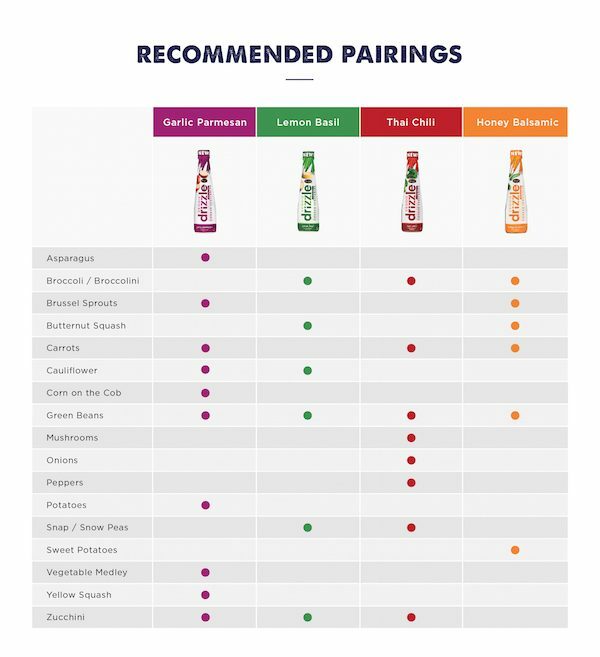 Below is a chart for recommended pairings. Interesting. I’ve never seen this product before. I’ll keep an eye out.